In October, Rising Owl Studios released the first book of our first series of books: The Cannabis Collection. 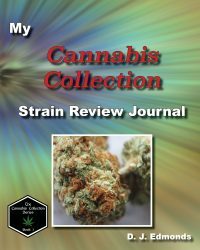 This is a journal designed to help people track the strains they have tried, what the effects were, how long the effects lasted and many other things. This is a great tool for both medicinal and recreational cannabis users. We are dedicated to providing unique experiences that entertain, educate and expose people to new perspectives using art, apps and words. © 2014 - 2019 Rising Owl Studios, All Rights Reserved.